During our Swedish roadtrip, we passed the capital Stockholm on our way to the middle of the country. We decided to explore Stockholm for two days, to get at least a taste of this magnificent city. 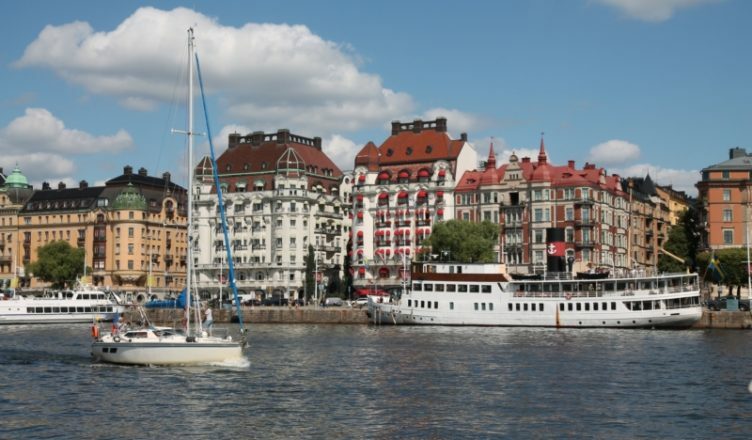 In this blogpost we will give you our things to do in 48 hours Stockholm. We hope you find our tips usefull! 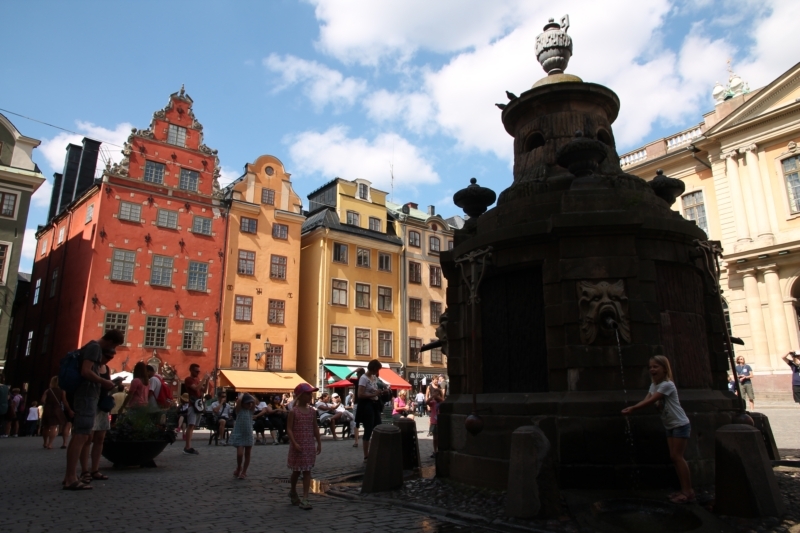 Start of your day on foot in Gamla Stan, the old historical neighbourhood. It has a fair share of important buildings, like the Royal Palace and the Parliament. Mostly, you’ll find cobbled streets, colourfull houses and cosy souvenir shops. Afterwards, pass the Royal Palace and head towards the water. You can buy a 24 hour ticket to a hop-on-hop-off boat there. We used the Stromma boats. 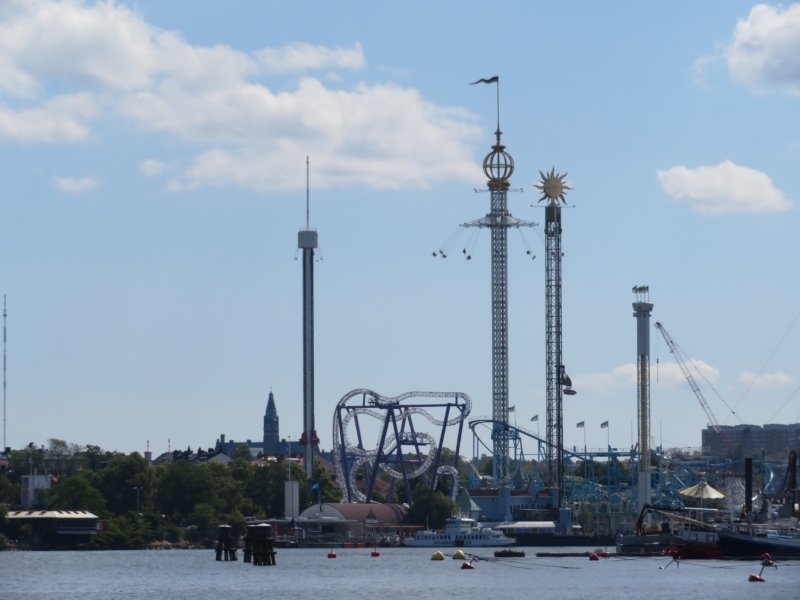 Your boat ticket is valid for the same day and the day after and also gives you free entrance to Tivoli Gröna Lund, which is an added bonus. In theory, Stockholm is a city you can walk in, but getting to all the different islands is quite the excercise. With an 8 year old traveling along with us, we found the hop-on-hop-off boat very usefull. 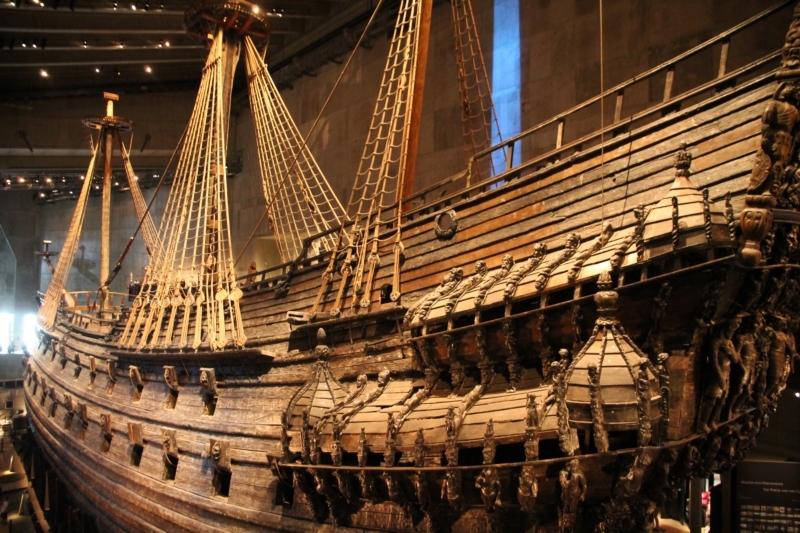 Stop your boatride at Vasamuseet and visit this wonderfull museum. Vasa is a large ship that sank in 1628. It spent 333 years on the seabed before it was brought to surface and restored. The museum tells the story of this huge ship, which is worlds best preserved ship from the 17th century. It is one of the best museums we ever visited, and the ship itself is amazing! 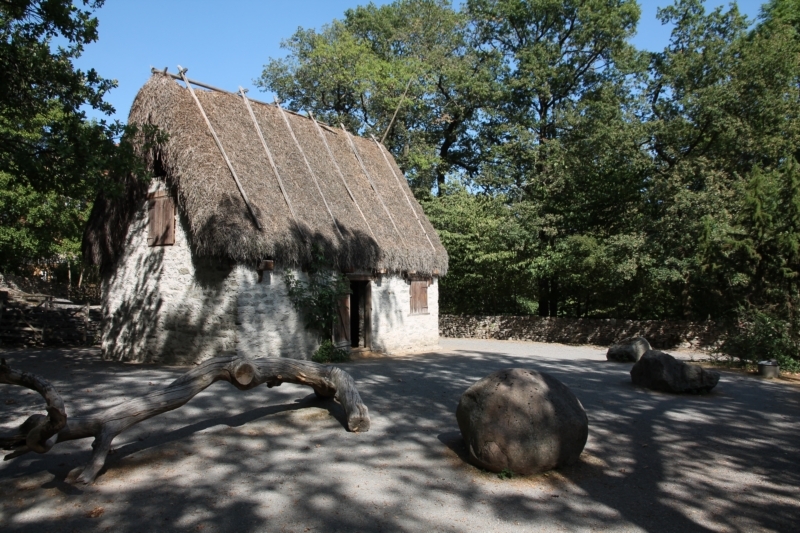 If you want a nice lunch, head over to the nearby Vikingaliv museum. It has a nice cafe with a cute outdoor seating area. They serve one of the best Swedish meatballs in town. Expect them to be a fair bit pricier than the version you know from Ikea, but also a lot more tasty! 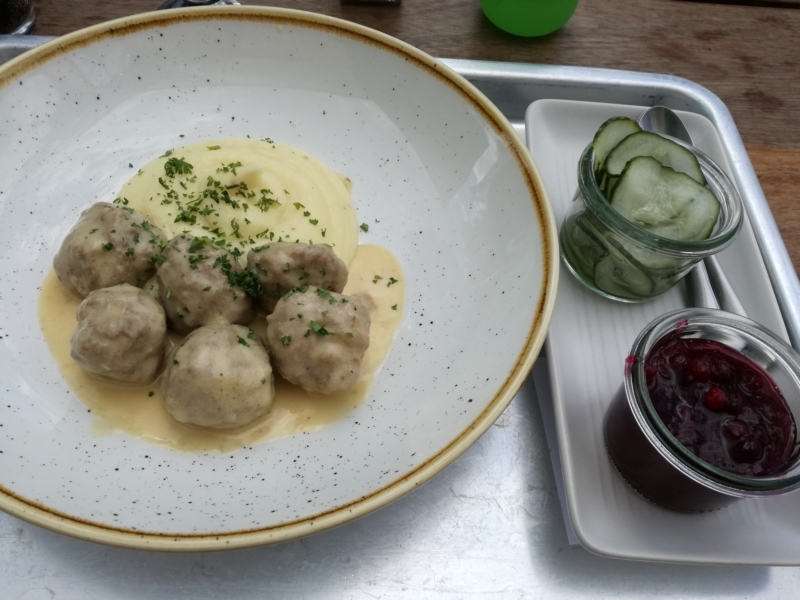 Swedish meatballs, the deluxe version. 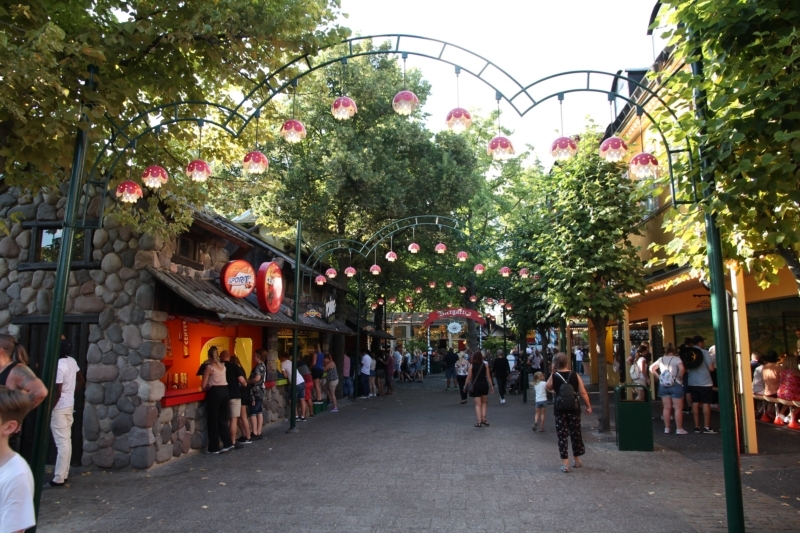 After lunch, head over to Tivoli – Gröna Lund. As we mentioned before, with your boat tickets the entrance to this fun themepark is free. You have to buy a set of coupons, to use on eacht ride though. This makes the whole experience expensive, but don’t skip it: it is a lot of fun. Being built on a tiny amount of space, the rides in this park all seem to cross eachother. You enter in the area with the rollercoasters but there’s also an area with rides for smaller children, that you can access by going through a building in the middle of the park. 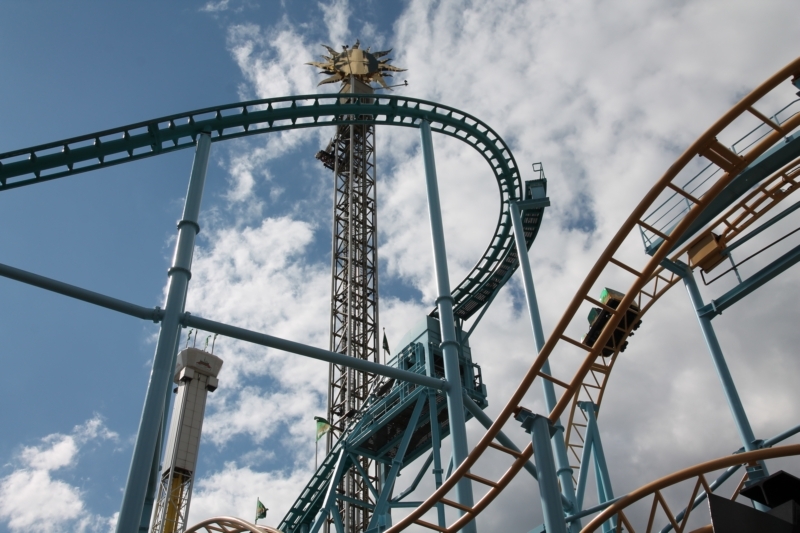 At 8 years and 120cm Febe was able to access most rides in the park – except from those that make loopings or some of the vertical drops. A cosy Swedish evening at Gröna Lund. After your visit here, it’s time to head back to get some sleep. We stayed at Ängby Camping, a bit further away from the city center, but close to a metrostation. It’s a small, green campsite, located next to a lake. It even has a pool with a waterslide. Start of at the incredible Fotografiska museum (which is also a stop off the hop-on-hop-off boat). 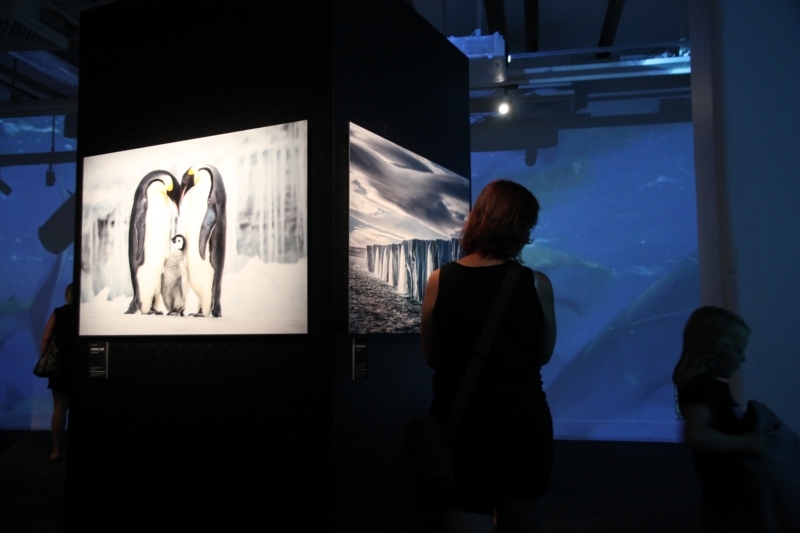 When we visited Stockholm, we were lucky that there was a temporary exhibit by Paul Nicklen and Christina Mittermeier, two of Annick’s all time favourite wildlife photographers. 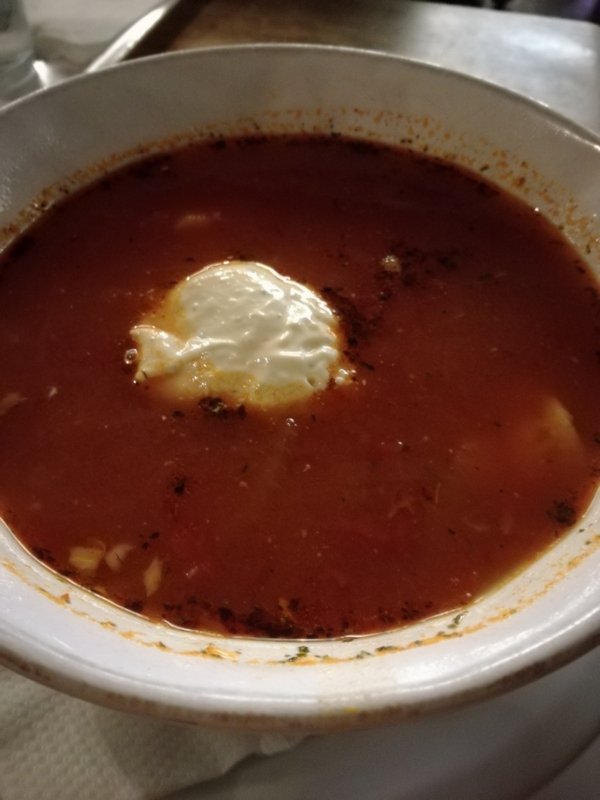 You can grab lunch there (the menu looked really good), but we headed over to Kajsas Fisk for their superb Fisk Soppa: a delicious fish soup, served with bread and a green salad. It’s fairly priced, and you can get a free refill. Febe enjoyed a local version of fish & chips there. It’s an address highly recommended by Lonely Planet and it didn’t disappoint at all – we can say it’s the best fish soup we’ve ever had. 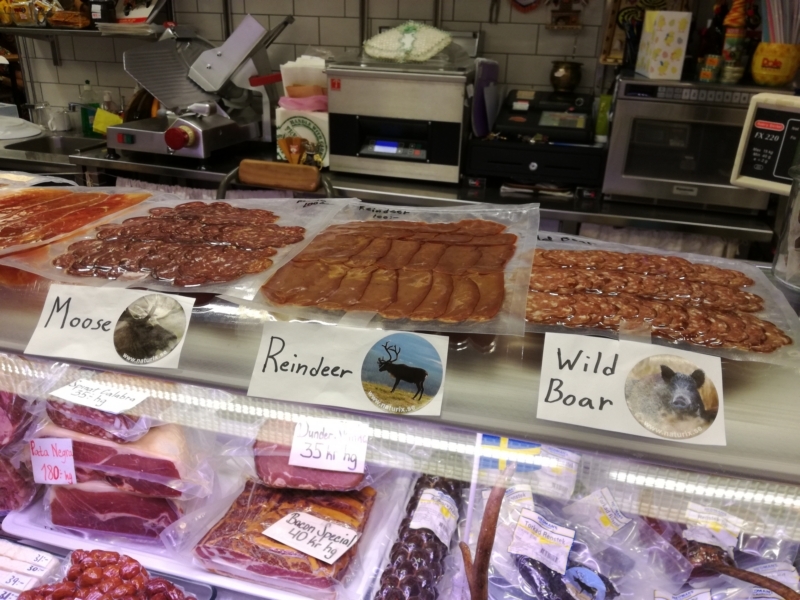 It’s located in a local indoor food market, where you can also buy a lot of Swedish delicacies if you like. 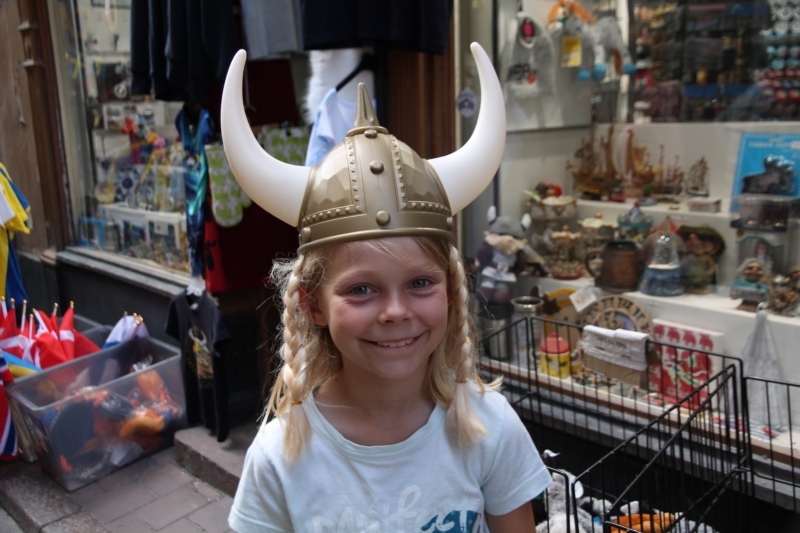 Afterwards, head back to the island of Vasamuseet for a visit to Skansen. 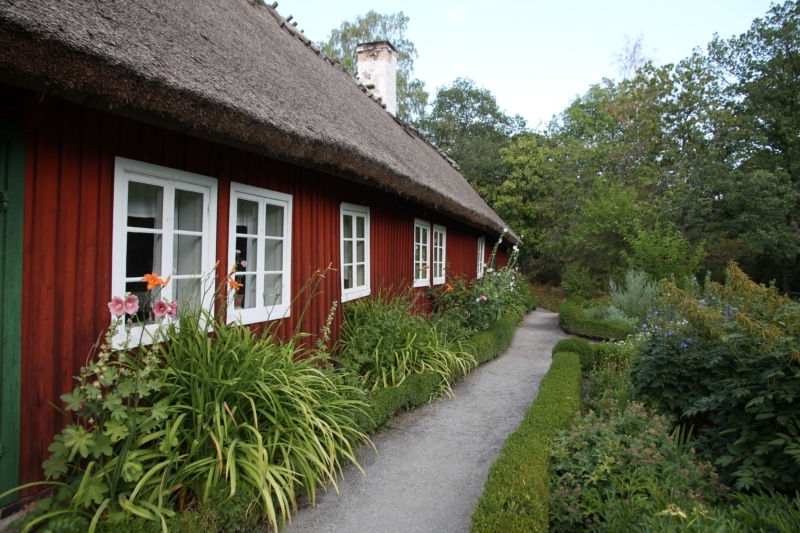 Skansen is the oldest open-air museum of the world, which shows you life as it used to be in the Sweden of the early 20th century. They demolished farmhouses, wooden churches and bell towers, local schools, … and rebuilt them at Skansen. 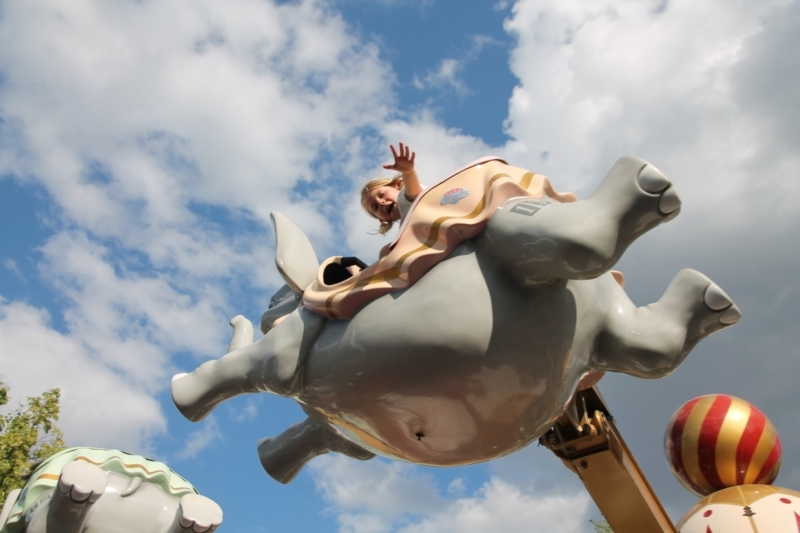 The park also has a zoo, with animals of the north, and several playgrounds. It’s huge, so you can easily spend a whole day there as well if you like. Skansen, the oldest open-air museum. Swedish life in the early 20th century. 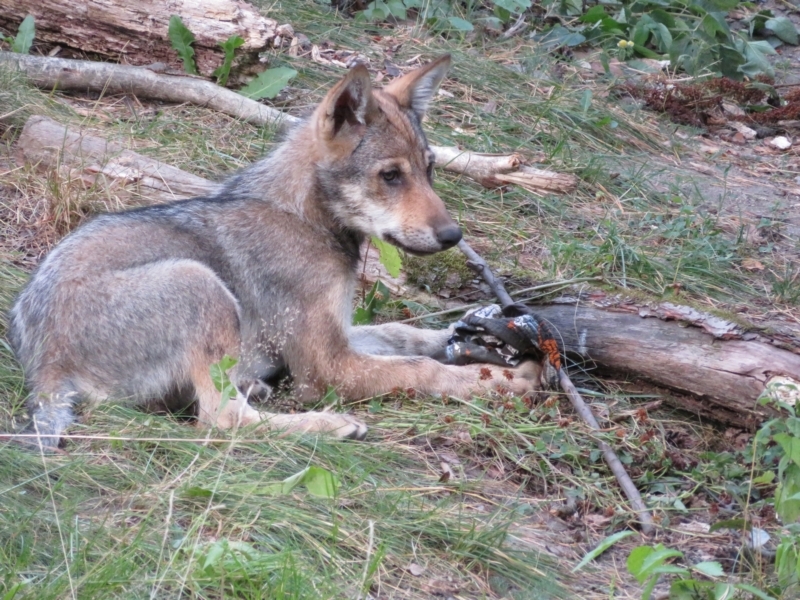 Young wolf in its enclosure. 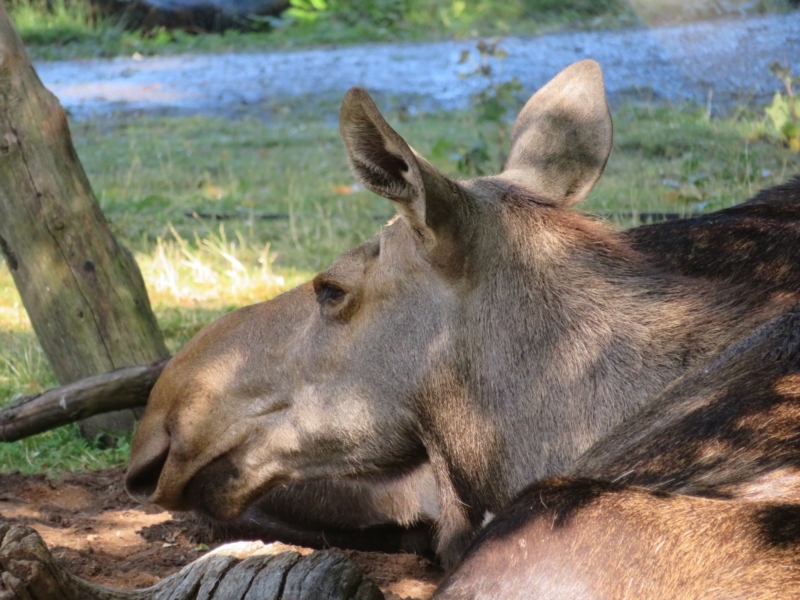 A moose, national animal of Sweden. 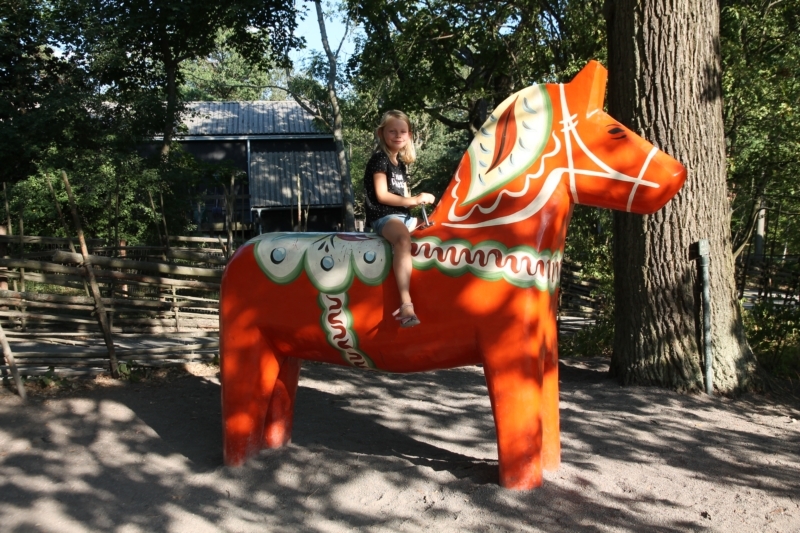 Febe on a Dala horse, thé souvenir from Sweden. 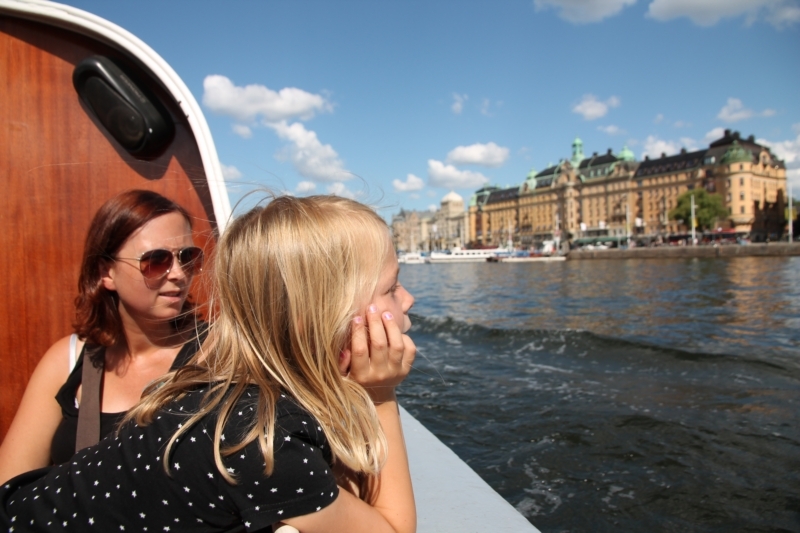 We hope you enjoy our tips for Stockholm. Ofcourse, the city has a lot more to offer than this, but for a family with children, this is a very satisfying itinerary if you’ve got limited time. Take in account that everything in Stockholm is pricy, so be sure to budget good for a couple of days Stockholm. To give you an idea, the two days in the city and 3 nights of camping cost us about €600 and we didn’t do anything wild with that budget. If you ask us, it is really worth it though!